Quality Unit: What’s in it for them? Back to the subject, though. We all go through the motions of evaluting our unit performance, tallying up training, membership and activity numbers, and discussing the form with our Unit Commissioner. But, how many of us do this in a vacuum? Do we discuss our performance with others in our troop? Most importantly, are the boys aware that this program exists – other than as just another patch for the uniform that either arrives or doesn’t arrive every year? Are they aware that what they do directly impacts whether a troop meets its Quality Unit goals for the year? Many of the criteria – adult training, parent recruiting, on-time recharter – are out of their hands, but there are two areas in which the boys’ actions directly affect a troop’s performance: advancement and participation in outdoor activities. Do your numbers show a dropoff in advancement? Is everyone advancing as you would hope? Since advancement is most often a matter of boys teaching boys and approving advancement items, the responsibility lies with the boys to plan troop meetings and campout activities so that advancement items can be worked on and approved. Inform the boys of the troop’s set goals (or better yet, involve them in setting the goals), what the actual number was last year, and challenge them to develop a program to improve that percentage. How about outdoor activities? The boys plan the campouts, right? Do you have older boys planning older-boy things that the younger boys aren’t interested in? Make sure they know that it’s up to them to provide an outdoor program for the whole troop, not just what they want to do. Cost should be a factor as well. Depending on your troop’s funding model, too many high-cost campouts are a deterrent for many. You can’t go on a long skiing trip one month, to a distant museum the next, and a caving or rafting trip three states away the following month, and expect much in the way of participation. How about conflicts with school, sports, band, or everything else that gets in the way? 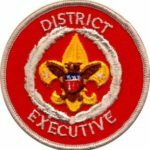 During months when there is high unavailability due to these activities, they need to plan and provide alternate activities and to be mindful of the calendar to avoid conflicts, in order to ensure that each scout has an opportunity to participate. The boys’ activities and actions also bear on other CQU items, such as retention and recruiting, and they can take an active role in ownership of the troop’s performance in those areas too. Be sure to share the evaluation and goal-setting exercise with the PLC. They will learn a lot about their troop, and you will receive great support in ensuring that your troop earns Quality Unit year after year. Previous PostPrevious What’s a Parent to Do?